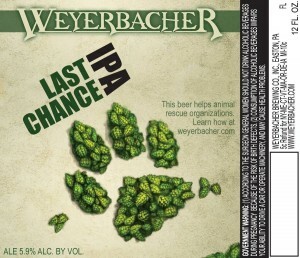 Weyerbacher Brewery in Easton is hosting a free event on May 25th to celebrate their new Last Chance IPA which we recently wrote about here. 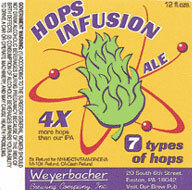 During the event they’ll be officially retiring their Hops Infusion IPA that was first released on June 18th of 1998. The brewery humorously asks attendees to dress in black to “mourn the passing of our old friend”. 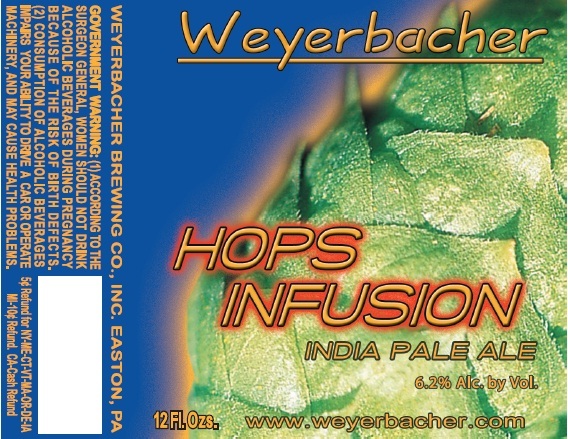 They’ll be offering up samples of all of the beers currently on draft, as well as pouring larger samples of Hops Infusion and Last Chance. As a bonus they’ll also be releasing this year’s batch of Blasphemy, a bourbon-barrel aged version of their Quad Belgian-style ale. A large portion of last year’s Blasphemy had carbonation issues and had to be dumped, with the majority of the beer being shipped out to other areas and the Lehigh Valley seeing very few bottles. On BeerAdvocate a representative from the company noted that distributors that didn’t get any last year would be among the first to get bottles this year. The fun starts at 4:30pm and goes until 8:00pm.